When you want to meet Russian singles, your first idea on how to meet them is to immediately book a plane ticket to Russia. Admit it. Everyone has thought about that. But in this century, you don’t have to travel thousands of miles to meet beautiful Russian women and date them. 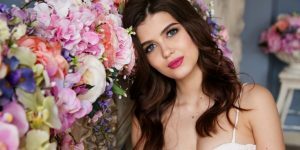 Russian dating sites like TrulyRussian gives single men the chance to meet and interact with Russian women not just in Russia, but all over the world while in the comfort of their homes. Equipped with features specifically for dating, you don’t have to worry about not meeting genuine people because you’re using a dating platform. You’ve got everything you’ll need for dating. How you use these features to attract and charm Russian ladies entirely depends on you. Just like any other dating sites, you can also customize your own profile at TrulyRussian where you have your basic information, match preferences, photos, lifestyle preferences, appearance description, and bio. Fill up this necessary information and let them know who you are. Though this might look simple enough to look at, this could be quite challenging especially when you’re trying to impress Russian girls and personals. From your profile, you’ve got to show that you’re confident. Russian women like men who are sure of themselves and are never insecure. Also, don’t forget to tell who you are looking for. Are you interested only in meeting singles from ages 30 to 45 or 20 to 29? Or are you looking for Russian ladies who are interested in friendships and penpals? Don’t be ashamed of admitting your match preferences. 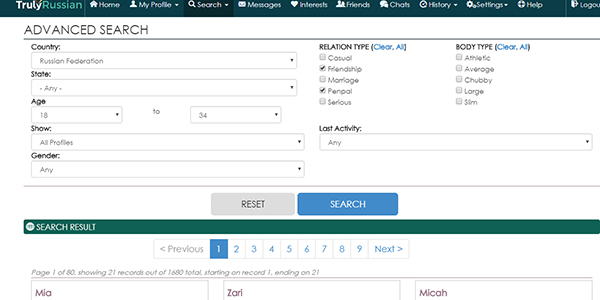 With thousands of profiles and online daters, it will be time-consuming to filter out through every member’s profile and album. So make your life easier and filter members based on your likes and preferences with TrulyRussian’s Advanced Search. You can also search profiles using Browse Members. This is good if you just want to look at profiles or Russian singles and personals who are currently active. Another is the Member Search. When you’re looking for a very specific member, it is highly recommended that you use this. Now that you know what to do in your profile and how to search for your ideal Russian lady, let’s now move on to how are you going to grab her attention and open up your first conversation. Russian women prefer men who are straightforward and takes the initiative to take control of the conversation. So you’ve got to make sure that your communication won’t dwindle into byes and farewells. But along with being frank, you must also not forget to be a gentleman. Now you know how easy it is to meet singles and build relationships with TrulyRussian, what are you waiting for? Create your account for free today and meet your Russian beauty. How to Tell a Girl You’re Not into Her? !